The embattled former Minister of State, Bashir Yuguda, has told the Economic and Financial Crimes Commission (EFCC) that he gave a total of N600million cash to six chairmen of the Contact and Mobilisation Committee of the Peoples Democratic Party (PDP) for the 2015 general election. He listed the beneficiaries as Bode George (South-West); Amb. Yerima Abdullahi (North-East); Peter Odili (South-South); Attahiru Bafarawa (North-West); Jim Nwobodo (South -East); and Ahmadu Ali (North-Central). He said he instructed Jabbama Limited to transfer N300million to BAM Properties whose account detail was given to him by a former National Chairman of PDP, Bello Haliru. Yuguda, who made the allegations in a Statement of Witness/ Caution which he wrote on oath, said he sent N200million to the erstwhile PDP Governorship candidate in Kebbi State, Bello Sarkin Yaki. He said a former Governor of Zamfara State, Mahmud Aliyu Shinkafi, also got N100million. The statement is part of the proof of evidence against the former minister whose trial is scheduled to commence this week at the High Court of the Federal Capital Territory (FCT). 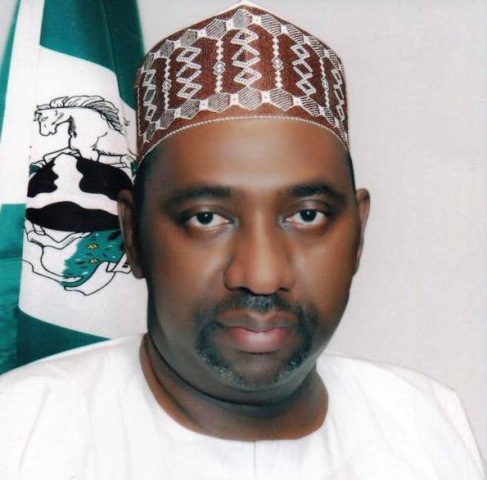 Yuguda will stand trial with ex-Governor Attahiru Bafarawa and his son, Sagir Attahiru; Dalhatu Investment Limited. The ex-minister is expected to account for over N3.050billion including N1.1billion being part of the funds in the account of the ONSA and aggregate sum of N1,950,000 belonging to the Federal Republic of Nigeria, which sum was transferred to Jabbama Ada Global Services. The ex-minister said: “For the cash disbursement of N600million, it was meant for the six zonal chairmen for Contact and Mobilisation Committees for Election of 2015. The chairmen are Bode George, Amb. Yerima Abdullahi; Peter Odili; Attahiru Bafarawa; Jim Nwobodo; Ahmadu Ali. The sum of N100million was given to each chairman. I gave the money in company of Prof. Alkali, who was Political Adviser to former president. The zonal chairmen are for the Peoples Democratic Party(PDP). I also instructed Jabbama Limited to transfer the sum of N100m to Dalhatu Limited on the request of Attahiru Bafarawa. Yuguda, who claimed that he had liaised with Stallion Limited, gave the details of other disbursements. His words: “I knew the chairman of Stallion Limited whose second name I cannot remember. Between December 2014 to June 2015, on the instruction of the then NSA, I introduced Jabbama Limited to a staff of the company on the instruction of the chairman. “When the account was in credit, disbursement was made from time to time on the instruction of the then NSA. Part in foreign exchange or transfers. “I wish to add that sometime in February 2015, I instructed Jabbama to transfer the sum of N300m to BAM Properties. The account was given to me by Bello Haliru as one of the people the former NSA requested me to give money. I also remember that Mahmud Aliyu Shinkafi was sent the sum of N100million on the instruction of the then NSA. “Further to my statement of 30th November, 2015, I have brought the sum of $829,800(equivalent to N200m) and N600m was given to me to distribute to the six PDP Zonal Committee chairmen. I don’t know who are the directors of Dalhatu Investment Limited but funds were transferred to the company’s account on the instruction of Dalhatu Bafarawa for the total amount of N1.5billion received from the then NSA by Jabbama Limited. The former minister however denied receiving another N200million credited to him. “I have been shown transaction of N200million from the Office of the Accountant-General to Jabbama which Jabbama said it’s on my instruction but I cannot remember this instruction until I crosscheck,” he said. Some of the charges against Yuguda are: “That you Col. Mohammed Sambo Dasuki whilst being National Security Adviser and Shaibu Salisu, whilst being the Director of Finance and Administration in the Office of the National Security Adviser, Bashir Yuguda whilst being the Minister of State for Finance between 5th February and 16th April 2015 in Abuja within the jurisdiction of this Honourable Court entrusted with dominion over certain properties to wit: an aggregate sum of N1.1billion being part of the funds in the account of the National Security Adviser with CBN committed criminal breach of trust in respect of the said property when you transferred same to the account of Jabbama Ada Global Services Nigeria Limited for the purpose of financing the campaign of PDP in the 2015 general election and you thereby committed an offence punishable under Section 315 of the Penal Code Act, Cap 532, Vol.4, LFN 2004.